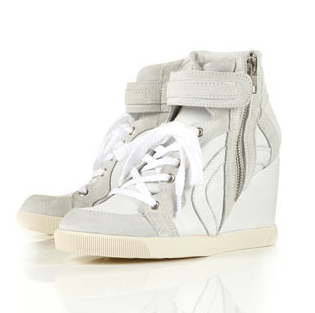 Haute Damn: Wedge Heel Trainer. Just popped onto the Topshop website for my daily 'checking of the new in section' and found these bad boys! 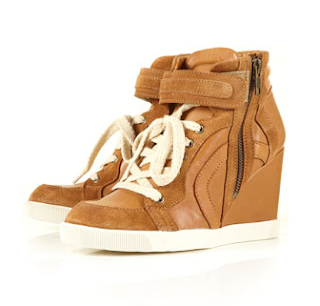 They are Topshop's version of this season's wedge heel trainer as previously seen by Isabel Marant, Chloe and Ash. And at only £75 I'm thinking I may have to take a trip down to the shops this morning to try them on. Brown or white? Which do you prefer? Love these, you should definitely get the white! Very cute...i like the white color best! Love your blog...following you now!